Most of the fun of writing is using your words to tell a story. They course across the page, delighting in the joys of Maureen finally finding her Henry, shuddering as Ingrid uncovers her third dead body of the day, or mourning with Carlos for his lost mother. But I’m not here to talk about words. I’m here to sing the praises of punctuation; specifically, the Oxford comma. Most people I’ve met have no idea what the Oxford comma is, but it’s probably something that you have used in the past. What is it? It’s a punctuation mark so fantastic that a hipster band wrote a song about it. While Sean was waiting for Kyle to pick up Chinese for dinner, he scraped the paint off the bathroom door frame, alphabetized his books by main character’s first name, and successfully startled the neighbor’s boxer twice. The last comma in that sentence is an Oxford comma, also known as the serial comma or the Harvard comma. Its name is always pretentious, and its purpose is always the same: it comes before the conjunction (in this case, “and”) in a list. Is the Oxford Comma Required? The Oxford comma is completely optional. It’s far more common in non-journalistic prose, and fairly standard in the US, but it’s not often used in the UK, Australia, or South Africa. Amanda found herself in the Winnebago with her ex-boyfriend, an herbalist, and a pet detective. One comma makes the difference between an awkward road trip with two people and a potentially hilarious road trip with four people. 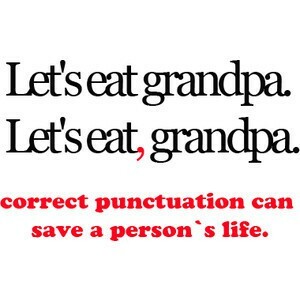 Make sure you’re punctuating the story you want people to read. NOTE: Not a fan of the Oxford comma? Check out our dissenting opinion, Why the Oxford Comma is Pretentious. Need more grammar help? After you master the Oxford comma in the practice section below, check out our tutorial Grammar 101. You too can write pop songs about Grammar terms! Write for seven minutes using the following sentence prompt as a starter. Then take another seven minutes, add an Oxford comma to the prompt, and write again. See how your story changes. Prompt: Jeremy turned and faced Leslie, his sister and a police officer.